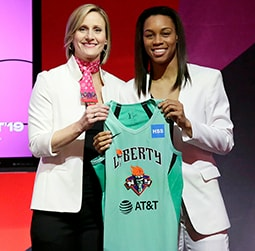 NEW YORK, NY – September 28, 2018 – On May 1, the New York Liberty announced it signed nine-year WNBA veteran, guard-forward Marissa Coleman following a four-year stint with the Indiana Fever spanning from 2014-17. Coleman showed promise early averaging 14.0 points per game in the preseason. To roll out the regular season, Coleman averaged 9.3 points and 3.0 rebounds in her first three games. She immediately earned a starting role and did so for 18 of the 21 games she participated in. 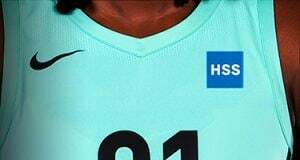 On June 10, Coleman netted perhaps her most memorable shot all season which came at the mercy of her former team. With just 16 seconds pictured on the clock in regulation and having played less than a minute all night, the former Fever stretch four drilled a three-point dagger from the left wing that severed all hopes of Indiana avenging its earlier season loss. It also redeemed her two-point production in her return to The Hoosier State. 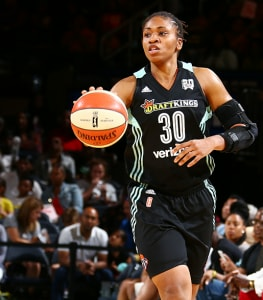 Against Los Angeles on June 24, Coleman sustained a right ankle sprain that sidelined her for nine games, returning at the end of July. To wrap up the month, the forward collected six boards, five points and raised for a rejection over a three-game span. 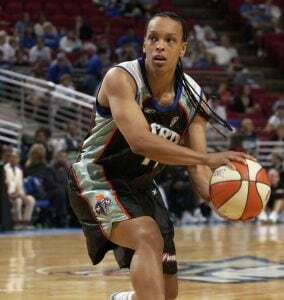 In August, Coleman’s highest point-production came against Las Vegas when she poured in nine points. She also added three rebounds and a steal on the tail end of that back-to-back. Having eclipsed the 2,000-career point mark a season ago, Coleman is five rebounds shy of attaining 1,000 for her career (995) and one helper away from 400 assists. She totaled 50 and 22 this season, respectively. The Portland native averaged 4.7 points per game on 34.8-percent shooting, was a perfect free-throw shooter, grabbed 2.4 rebounds per game and handed out 1.0 assist per match. She also corralled 0.4 steals per game and 0.2 blocks a contest in 18.3 minutes out on the floor.